Lung cancer is really hard to detect early. So some scientists in Germany put their best sniffer dogs on the task. And you won't believe this but it totally worked. Researchers at Schillerhoehe Hospital gathered up 220 volunteers who had lung cancer, chronic obstructive pulmonary disease, along with ones who were healthy. They gathered samples by having them exhale into glass tubes filled with cotton. 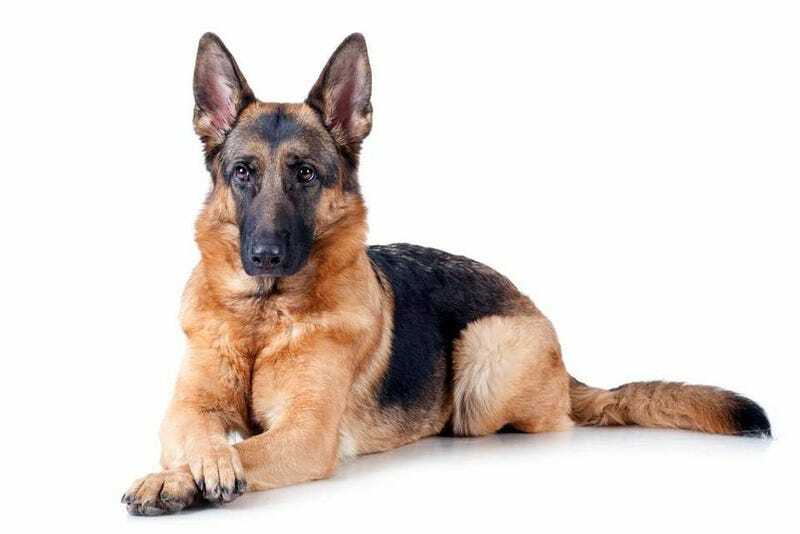 Then they taught the dogs (two German shepherds, one Labrador retriever and one Australian shepherd) to lie down in front of and touch samples that contained "volatile organic compounds" associated with the disease. The dogs detected 71 out of 100 cancer patients, and identified 372 patients out of 400 who didn't have the disease. Not only that, but they could tell the difference between lung cancer and COPD. And it didn't matter what medications they were on, whether they had recently been smoking, or what they had recently eaten. Only 15 percent of lung cancers are currently diagnosed before the disease spreads to other organs. When it's spotted before it spreads, the five-year survival rate is 50 percent. After it spreads, it's only 2 percent. But, there's no early detection tool available now. In 2011 so far, 221,130 new cases of lung cancer have been diagnosed, and 156,940 people have died from the disease. I say sniffer dogs in every hospital STAT! For using the dogs as a screening tool to detect lung cancer in risk groups further research is necessary. We don't know yet if they detect lung cancer or a malignant disease in general – can they tell e.g. the difference between lung cancer and breast cancer? ... We don't really know, yet, if it will be dogs in the end, that could do the diagnostics. But they can definitely help us for further research and maybe one day identify the volatile organic compound or pattern of different compounds that is associated with lung cancer.